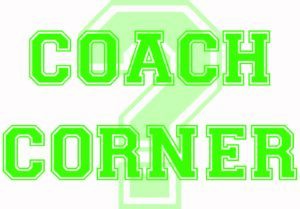 Use the drop down list below to meet the coaching team and read a little about them. 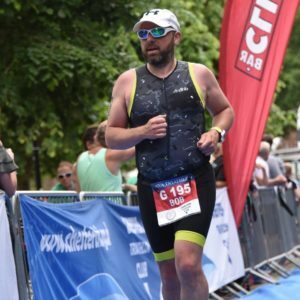 I started tri in 2002, Cockermouth Sprint Tri, as at the age of 46 I had put on weight, and realised that I was missing being active and competitive. I was rubbish, but got a real buzz for racing. Started with KTC (formerly Westmorland Triathletes) – there were about 10 to15 members. 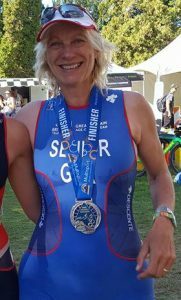 I have completed an Ironman, represented GB at European and World championships eight times, (mainly Standard Distance, but the occasional middle distance). I have qualified for more, but time & money is a barrier. A key development for the club has been the recruitment of a more coaches, this is happening and I hope to see more coaches in the future. My aim for the club is simple, to have as much fun and participation as possible at all levels and ages. I love coaching and want to encourage participation in triathlon at all levels and distances. My coaching philosophy is around motivating people to achieve their goals, grow in confidence and self-belief, race well and have fun. I began training for triathlon after suffering from ME for several years. I gradually built up my fitness over eighteen months and completed my first Ironman in 2011. Since then I have competed in the ITU Long Distance Triathlon AG Word Championships in 2017, and 2015 and in the ETU Long Distance European AG Championships in 2016 securing a Silver medal and 2014 winning Bronze. In 2013 I successful completed the eight-day Craft MTB TransAlp race, after 160 hours of racing I made the cut off time by 45 minutes!!. As a newly qualified BTF Level 1 coach I am really enjoying being part of Kendal Tri’s coaching team. Many of you will have seen me poolside and more recently I’ve undertaken the spin sessions. I came to triathlon in 2014 after almost 20 years of rugby and cricket. My first season include the Fylde Tri-Ology series, I loved the 1st event at Ribby Hall that later that summer I took on the Capernwray open water sprints too. 2015 I upped my distance to complete the Cholmondeley Castle Half along with a handful of sprints and Bassenthwaite Standard. I was lucky enough to get a London Marathon place in 2016 and since that I’ve mostly competed in the Kendal Sprint Tri’s. Looking ahead to my coaching future I hope to qualify as BTF Level 2 Triathlon Coach as well as adding various add-ons to the qualification. I joined Kendal tri back in 2013, as a keen cyclist I wanted to have a go at Tri little did I know where this journey was going to lead to!! A first season of Sprint and Standard distance races, then my first Ironman, Cozumel 2015. Another year of marathons and more Tri’s and Barcelona Ironman followed in 2017. This year I joined the coaching team after completing Level 1, I’m also a qualified run lead. I love seeing everyone at pool side and am looking forward to inspiring some new Tri journeys. I started triathlon in 2013 and have been hooked ever since. I love the jigsaw of trying to put all the pieces together to create a decent race.This has seen me compete for GB in standard, middle and long distance events. 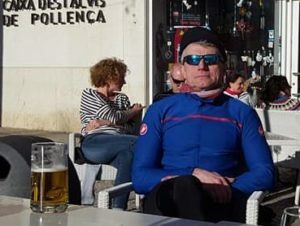 I was Long distance European Champion for my age-group (55-59) in 2019, winning a magnificently beautiful race in Madrid. 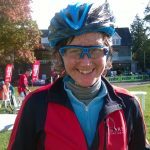 My favourite discipline is the bike and I love riding my bike(s) in a range of different ways including mountain bike endurance events, sportives, night rides and time trials. The most important thing is that it’s fun. Anything else is a bonus.